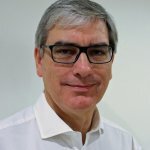 John works as a consultant and non-executive director bringing his experience of development, project finance and governance to public, private and third sector organisations. Previously John held a number of senior roles in major organisations, including Managing Director of a division of Kier Group, CEO of a joint venture company between Skanska and Essex CC and Group Business Development Director at The Hyde Group. John is currently a Board member and Chairs the Development Committee at GreenSquare Group. John has helped a number of not-for-profit organisations with their proposed development schemes, including option appraisal, design development, developing proposals for social funding, negotiations with funders, investment appraisal and cashflow. He also works with trustees and senior management teams on the governance issues relating to development including the identification and management of risk and internal approval processes. Toynbee Hall, London – advice on a mixed redevelopment scheme comprising office, residential and community uses including reviewing the development plan, options for investment structure, verifying rental values, development appraisal, cash flow modeling, risk assessment and legal structure. Bootstrap, London – Option appraisal for conversion of an existing building for arts and community uses, including managing the design team, financial modeling, risk assessment. ReNew Leeds – Supporting successful application for Big Potential grant to enable ReNew to establish a new business renovating homes and training apprentices. Smith’s Row (Bury St Edmunds Art Trust) – Supporting successful Local Sustainability Fund bid to enable Smith’s Row to enter into a Community Rail Partnership for the East Anglia Rail Franchise, including the redevelopment of rail related properties. Bournemouth University – Negotiation of the acquisition of a site for the development of a new £32m faculty building and the provision of 500 student beds. CRH / Ibstock Brick, Glasgow – Negotiating the disposal of a 14 acre surplus factory site for residential development. At GreenSquare, John chairs the committee overseeing the development of c240 new homes per annum, including market sale, and increasing the group’s stock of affordable homes by 200 per annum. John has been a non-executive member of the publishing board for ‘Construction Manager’ Magazine and associated news and jobs websites for the last 16 years.